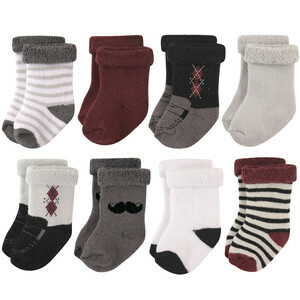 Hudson Baby 8 Pack Rolled Cuff Crew Socks keep baby's feet warm and cozy! This rolled cuff style helps the socks to stay on! Super soft cotton blend is gentle on baby's foot and stretches to fit a wide age range. Inside of sock has loop cotton terry for comfort and warmth. 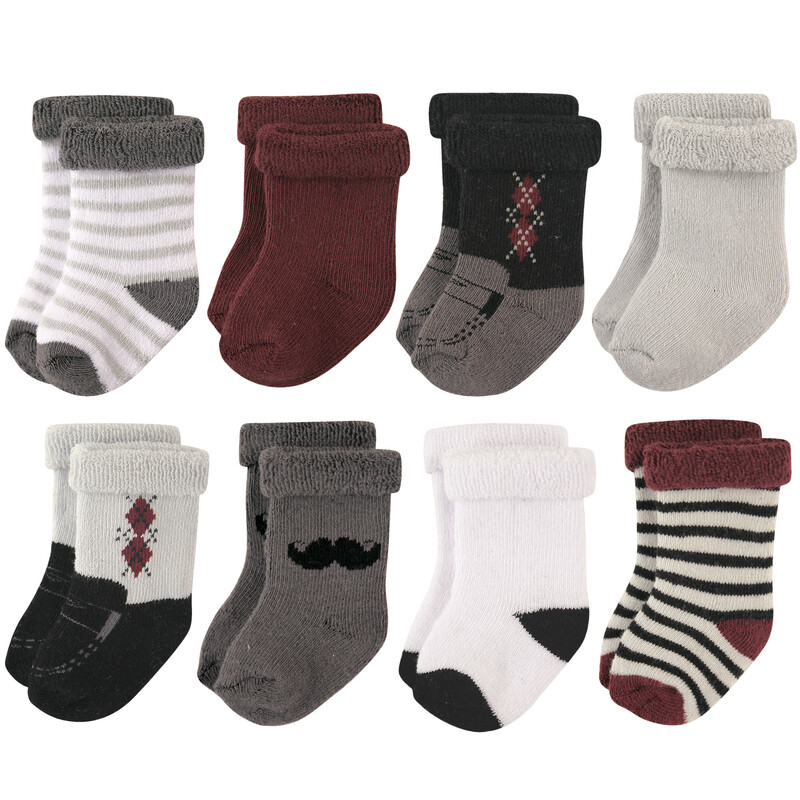 These fashionable and affordable socks are designed to mix and match with most outfits. These socks are thick and are cushiony for keeping baby warm and snug!